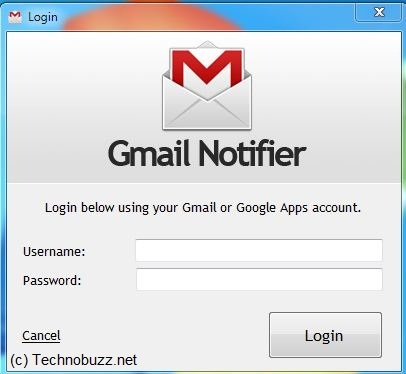 Gmail is one of the most used email service these days with lots of feature and Gmail addons, one of the best email service with lots of features like mail management, themes, filters and labels, Now today we found a new app which helps you to check your Gmail mails in new way. With this app you can see all your unread messages on Windows taskbar as a thumbnail preview. 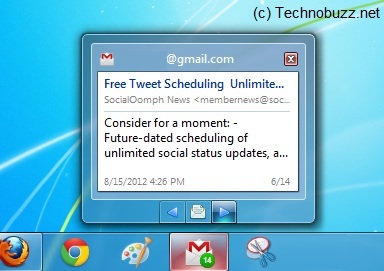 So every thime you received a mail in you inbox, you can check out the preview of the mail from the windows taskabr. 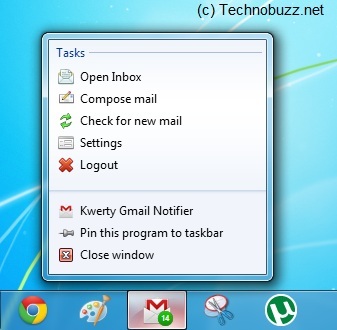 Kwerty Gmail Notifier for Windows 7 is free to use app for gmail users, designed to monitor your Gmail Inbox from taskbar. Whenever you received a new mail in your inbox you will get the notification on your taskbar. Not only you can see the mail from the preview but you can also check your next mail from the preview, the app gives you the navigation controls to switch between email items. The app is simple to use and easy to install, all you have to do is install the app on your Windows 7 PC and login with your Gmail username and password. After the login you can see the new icon on your Taskbar, here you can see the preview of you new emails, Whenever you received a mail on you inbox you will see the notification on the icon. Now hover your mouse pointer over the taskbar icon to open the live thumbnail preview. The preview has also the navigation button to check out the all other mail in inbox. The app also gives you the option to compose the mail, open inbox and logout. 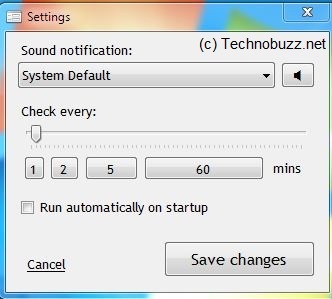 To see these options right click on the Gmail Notifier icon. Also the setting dialog allows you to change the notification for a new email alerts and specify the refresh interval for checking new emails. You can also use your custom tone by choosing the custom option from the settings. The app is fully compatible with Google Apps accounts too and works on both 32-bit and 64-bit versions of Windows 7, Windows XP, Windows Vista, Windows 7 and Windows 8.